Üsküdar University attended the Study in Turkey - II. Cameroon Turkish Universities Promotion Fair in Yaounde, the capital of Cameroon. The sponsors and institutional stakeholders as well as universities, colleges, agencies and academic institutions from Cameroon attended the fair, which was organized with Turkey Study Center’s local partners. 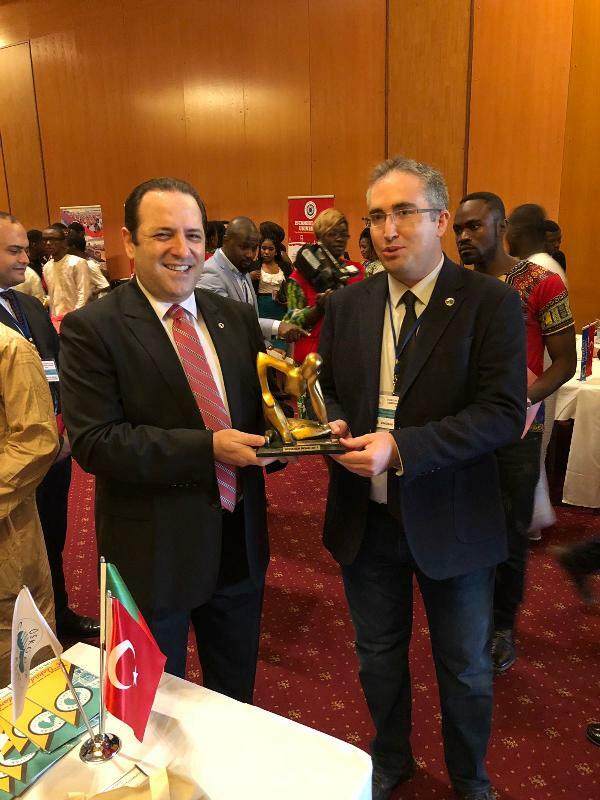 In the fair that is organized for high school and university students who want to study in Turkish universities, Üsküdar University received great interest in Cameroon, where the Anglo-Saxon education is effective. Cameroon's Turkey Ambassador Hüsnü Murat Ülkü also visited Üsküdar University’s stand in the fair. Üsküdar University’s International Relations Director Emre Üçsular presented Prof. Nevzat Tarhan’s books to Ambassador Ülkü. Study in Turkey fair is expected to be the second educational fair in Cameroon organized in the recent years.